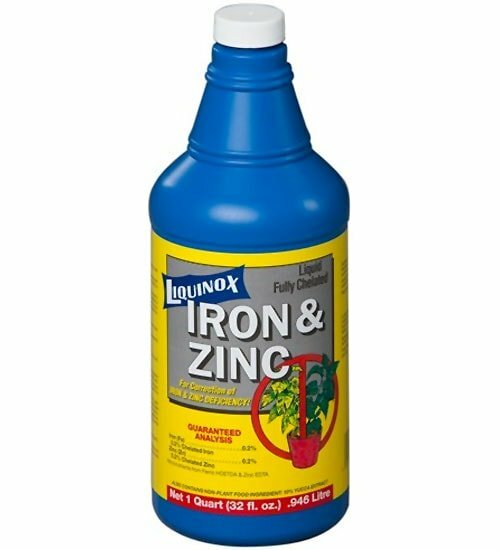 Prevent or correct plant yellowing (chlorosis) with Liquinox Iron & Zinc. It’s fully chelated to work quickly and has been formulated for use on lawns, ornamentals, trees and shrubs. 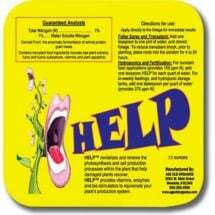 May be applied as a foliar spray or soil drench to fix common nutrient problems. 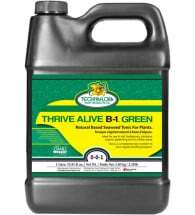 • Fully chelated — readily available to plants! Soil: Mix 2 oz/ gallon of water and saturate the soil around the base of plants. Water thoroughly after application and repeat every 3 months or sooner, if needed. 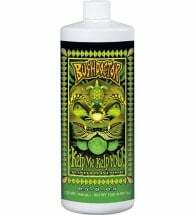 Foliar: Spray leaves using 1 oz/ gallon of water. A second application should be made in 14 days. 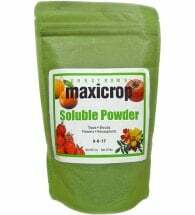 May be combined with soil applications for faster and longer lasting recovery.